Now a days robotics is the plays major role in the entire world and technology that deals with the design, construction, operation, and application of robots and as well as computer systems for their control, sensory feedback, and information processing. 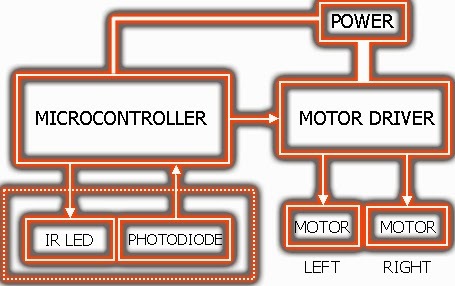 A Line Follower Robot system contains sensors, control systems, manipulators, power supplies and software all working together to perform an assigned task. The most Important basic autonomous robot you can build is a line following robot,The purpose of this AVR tutorial-part 23 is to help you build a Line Following Robot using an inexpensive AVR chip. First of all attach motors, clamps and wheels as illustrated here. 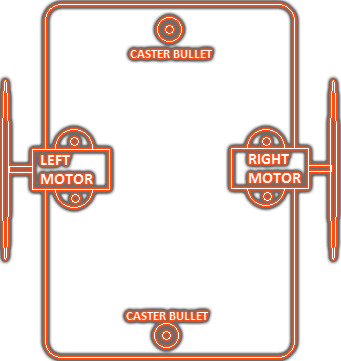 Next, attach two caster bullets at the bottom of the chassis. Finally, drill suitable holes in the chassis to fit all remaining parts such as finished circuit board, sensor cards, battery holder, pcb spacers, supporting clamps. Best location for main circuit board is the centre-top of the chassis,the infrared sensor cards (left and right) should be fitted at the front-side of the chassis, in downward direction, so that infrared sensor components. 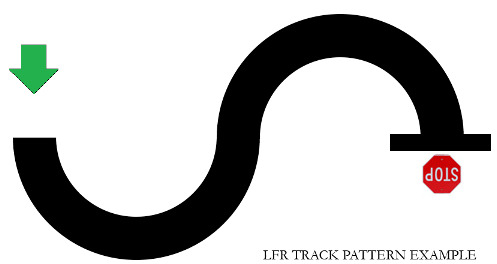 Line Follower Robot follows a path with black track on white surface. To sense the track properly, infrared sensors must be placed on the chassis in such a way that they are very close to the track level. 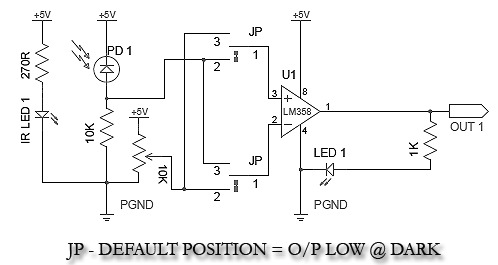 Ensure that distance between two infrared sensor card. 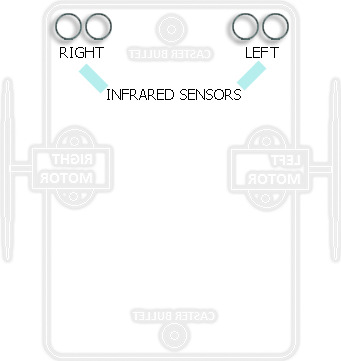 The infrared sensor cards (left and right) on the bottom of the chassis for detecting the black tracking indicant on the path. Each sensor card is a combination of an infrared LED, infrared photodiode, and a comparator chip works on 5V DC supply. 0 Response to "Line Follower Robot Using Arduino | line follower robot circuit"